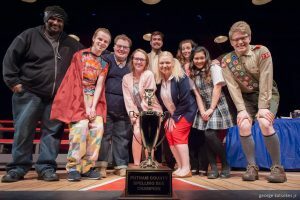 THE 25TH ANNUAL PUTNAM COUNTY SPELLING BEE is presented through special arrangement with Music Theatre International (MTI). All authorized performance materials are also supplied by MTI, 421 West 54th Street, New York, NY, 10019. 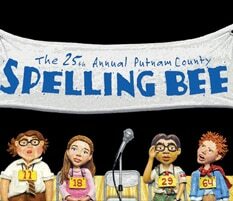 An eclectic group of six students vie for the spelling championship of a lifetime. While candidly disclosing hilarious and touching stories from their home lives, they spell their way through a series of words hoping to never hear the soul-crushing, pout-inducing "ding" of the bell that signals a spelling mistake. Six spellers enter; one speller leaves victorious!